English Medieval Knight 1300‑1400 from Osprey. I'm sure most of you are familiar with this one but I wanted to share it anyway. Its a wonderful book, its what inspired me to the 14th century and has helped keep my passion for the Middle ages going. Its great for a beginner, anyone who wants to brush up on the fundamentals, or people woh just wants to see the beautiful artwork in this. 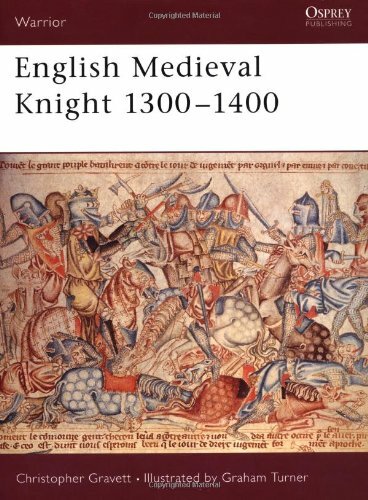 Re: English Medieval Knight 1300‑1400 from Osprey. I have a pdf of the book and I would give it my high recommendation for the purpose of information and illustrations that are helpful.